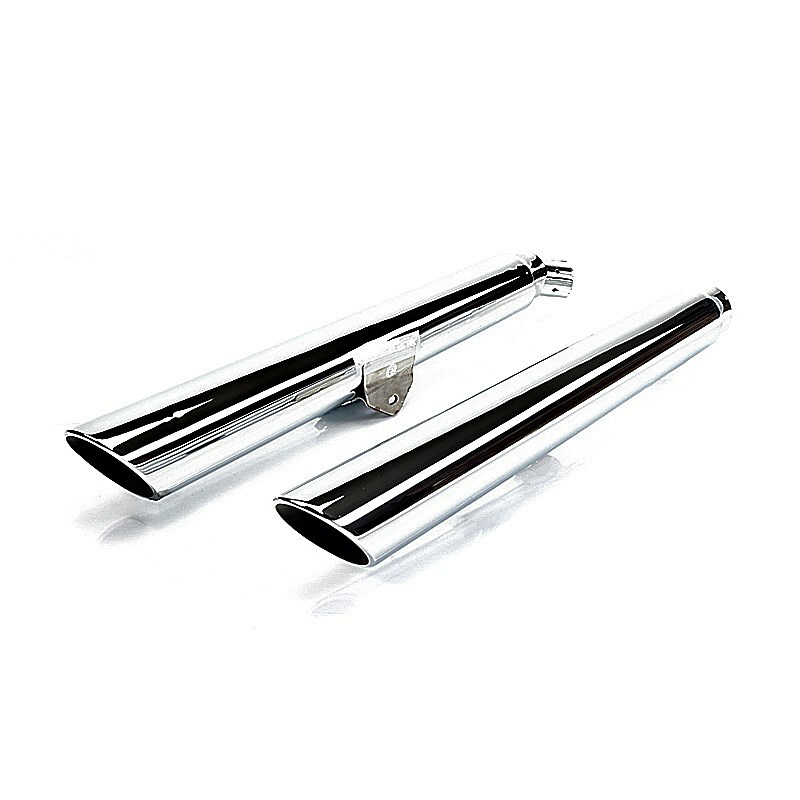 High Gloss, triple plated chrome accessory silencers featuring tapered bodys with slash cut outlets. Revised internals to enable improved gas flow resulting in improvements in torque & horsepower, combined with a deeper more aggressive exhaust note. Supplied complete with all required gaskets. Requires specific calibration to guarantee optimum performance.